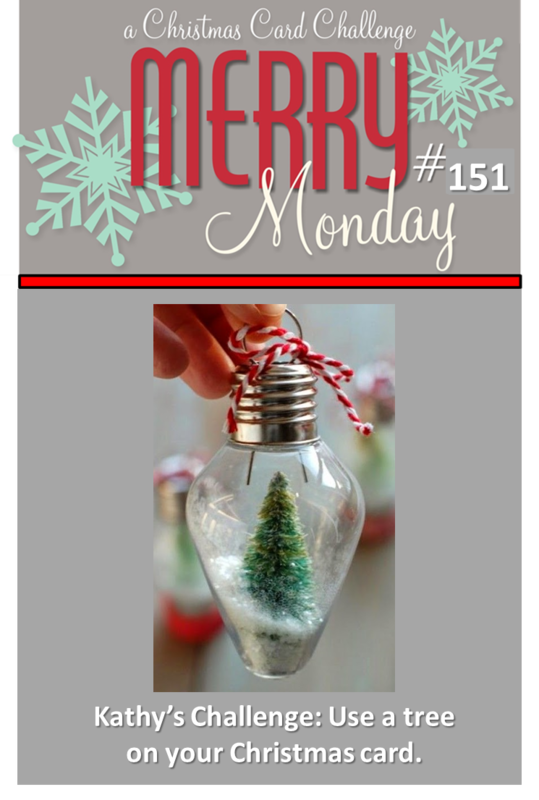 I'm excited to be this week's Merry Monday Christmas card challenge hostess!! I hope you'll join in and play with us this week by submitting a Christmas card with a tree on it! I chose a simple design using Die-Versions word tree die. This will be an easy card to mass produce this holiday season! I'm so looking forward to seeing your creation!! Do stop by the challenge blog to see what the rest of the Design Team has to share with you this week! Fantastic card, Cathy! Love that die! I really like the colors/dp you have chosen; it gives the card a wonderful rustic/country feel. What a fun challenge, Kathy! 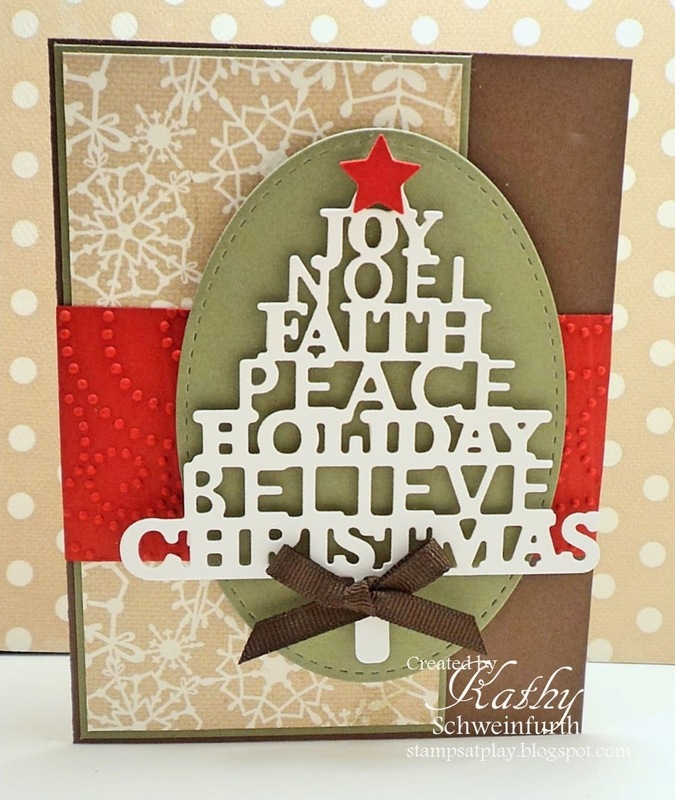 I love your tree and the stamped snowflakes and embossing in the background! Hope you have a wonderful week! Fabulous challenge and a gorgeous card! I love that die cut - it's so striking and effective. Love all the different papers and fun design. Oh it's perfect in every way!!!!!!!!!!! Fantastic card Kathy, I love the layout and all the great elements. 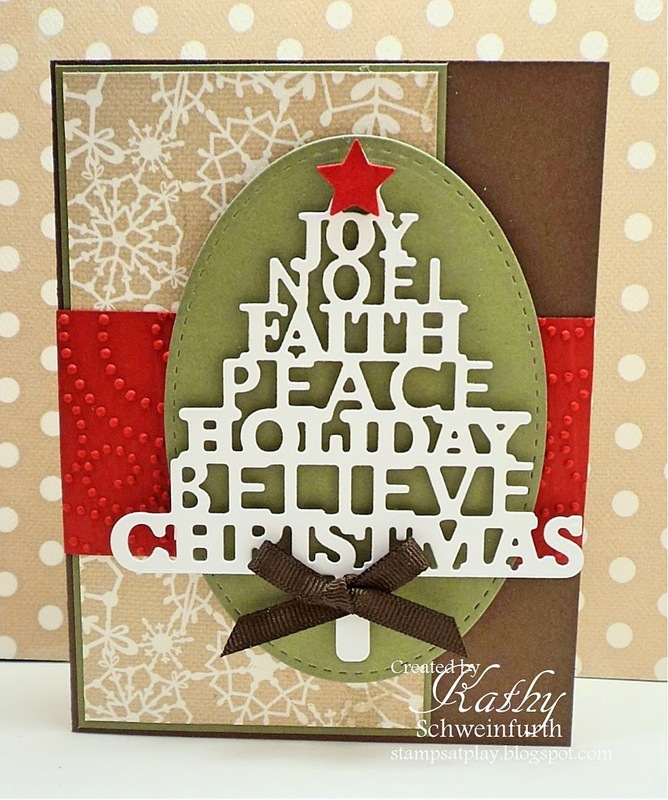 Love that die cut, Kathy! What a striking design! Kathy, I LOVE your word tree! What a great card to be able to mass produce for Christmas! Great theme for the challenge this week, too...love it!